Do you remember walking to your first college class? The buildings in front of you held so much potential—the opportunity to learn new things, meet new people, and grow in knowledge of yourself and your chosen major. Four years later (or so . . . ahem) you graduated. And as you walked across the stage, posed for a picture, and looked out over a room of applause you no doubt experienced a familiar excitement for the future. Only this time you weren’t limited to just your campus. You could do whatever you wanted to do and go wherever you wanted to go! The world was yours for the taking! That is, of course, until you got your first student loan bill. That’s the funny thing about debt: it makes the great expanse of the universe feel like a tiny box. Maybe instead of living out your potential, you’re stuck in your parent’s basement, working a job you hate. Or maybe you’re afraid to move forward in a relationship—all because of student loans. You might even have a decent job, a family and a home of your own, but find yourself unable to think about anything beyond your monthly bills. If so, we’re here to help. We want you to see you’re not alone. Plenty of adults struggle to keep up with the debt they accrued in college, so we want to show you a way out of the box and back into that great, big world of opportunity. Given the above statistics, it’s no wonder many borrowers see the task of paying off student loans early as insurmountable, and instead choose from a list of other options. We’re not here to judge if you chose one of these options. Far from it. We simply want to show you why paying off your student loan early might just be your best bet. Let’s assume for a moment that you’re exactly average when it comes to student loans. You owe $32,731, your monthly payment is $393, and the interest rate is fixed at 6.8% (per the current government regulations). If you look at any online student loan calculator using those figures, you’ll spend the next nine and a half years sending your hard-earned money elsewhere. What’s worse: you’ll pay an additional $11,680 in interest. Yikes. Bump your monthly payment up by just $100 and you’ll shorten the loan to seven years and save $3,234. You probably know that completing an unfinished degree, earning a second bachelor’s degree, or getting your master’s degree puts your student loans into deferment: meaning you won’t be required to pay them until six months after you stop attending classes again. You may be tempted to give this the old college try, but remember—unless you can pay for today’s classes with cash, you’re simply piling new debt on top of old debt. Plus even though your payments are suspended, some student loans continue to accrue interest while you’re in school. Look for ways to learn without going deeper into debt. Because each school year requires new loan applications, most borrowers owe money on more than one loan which can be overwhelming to keep track of. 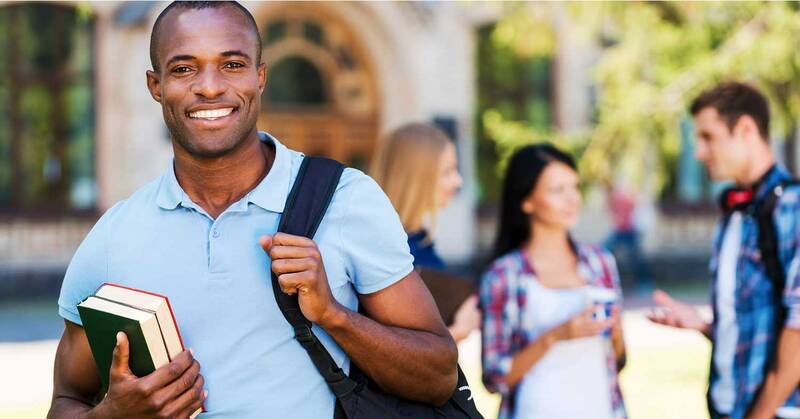 With loan consolidation, the Department of Education rolls all of your loans into one. You’re essentially trading a group of old loans for a single new one. You’ll get a new term length and a new interest rate—likely longer and higher than the ones you had before. Instead of consolidating, try building each loan into your EveryDollar budget to keep things straightforward and simple. Under certain circumstances, the federal government may forgive part or all of your student loan—a promising option for teachers, nurses or other public services employees who plan to work in underprivileged areas for multiple years in a row. Appropriate paperwork must be submitted (in a timely fashion) in order for payments to count toward the program. Let’s just call it like we see it, shall we? Getting out from under your student loans sooner rather than later is the best way to go. 1. Build a safety net. Before you throw a peace sign to Sallie Mae, you might want to consider your spot in the Baby Steps. Paying off debt comes in at Baby Step 2, but your first step is setting aside $1,000 in the bank for emergencies only. Once you have that, you can move on to Baby Step 2. 2. List your debts from smallest to largest. While you’re at it, go ahead and include any other non-mortgage debts and write them out smallest to largest regardless of interest rate. If you have more than one student loan, be sure to list each one separately and build the list right into your EveryDollar budget. 3. Start your snowball. Pay minimum payments on all of your debts except for the top one on your list. Attack the top one with a vengeance. Cut expenses, sell some stuff, take an extra job, work longer hours—do whatever you can to gather money to get rid of that smallest debt. 4. Notice your efforts and keep moving forward. As soon as you cross the first item off your list (hooray! ), move on to the second debt. Roll the first debt’s payment into the minimum you’ve been paying on the second debt and get after it! With extra income to throw toward your debt, the snowball grows, gains momentum, and picks up speed. Using the steps above, before long you’ll demolish student loans and open doors to your future—and be debt-free! An EveryDollar budget will get you there. With a monthly budget you can build your student loan payoff plan right into your budget by deciding how much to save each month toward your emergency fund, when and how much to contribute to each debt, and how long until you too are completely debt-free! Create a free EveryDollar budget that focuses on getting rid of your student loans today!